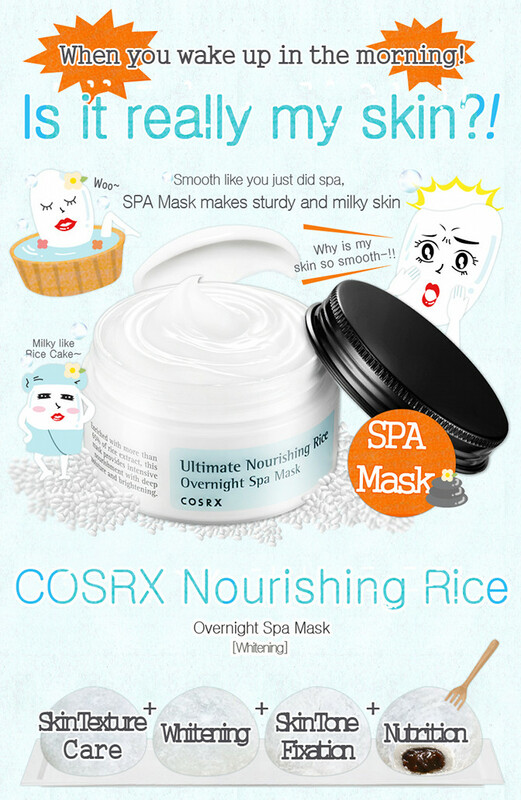 Review: Cosrx Ultimate Nourishing Rice Overnight Spa Mask | Memorable Days : Beauty Blog - Korean Beauty, European, American Product Reviews. Many of you might know the Korean brand Cosrx already. It has become one of my favourite brands because they offer so many great products for all skintypes, even for the most sensitive skin and acne prone skin. 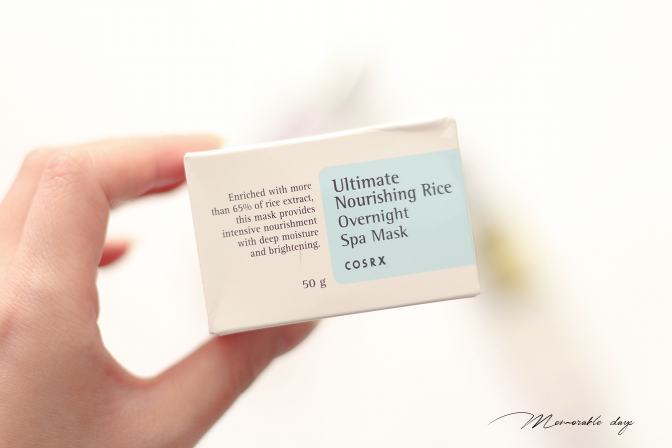 In today's blogpost I am going to review the Ultimate Nourishing Rice Overnight Spa Mask (extremely long name, i know), which was kindly provided by Jolse.com for review purposes. Is this product just hyped up or not? What makes this mask interesting to me is that it includes 65% of rice extract. If you ever tried to wash your face with rice water, you will know how gentle it is for your skin and how soft it makes your skin. 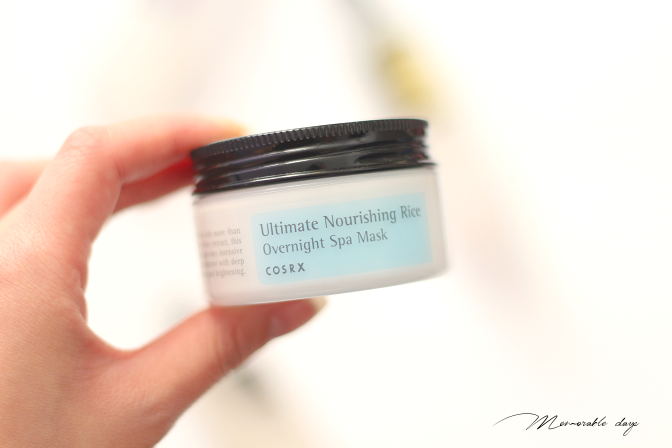 This mask claims to brighten, nourish and deeply hydrate while you are asleep. This comic says it all hahah, I love it! It comes in a simple white/black/light blue packaging with Korean as well as English descriptions. I was actually surprised how small the product is, but I think I am just used to big jars of masks haha. It contains 50g of product. 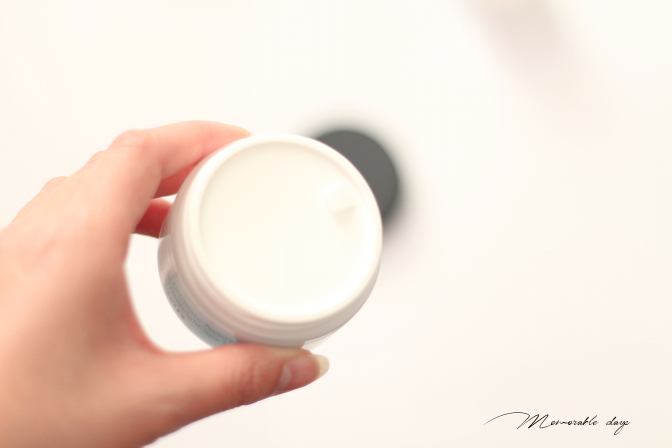 Once you twist the cap open you will see another lid - the protection layer so the product stays good and no air comes in. It doesn't come with a spatula so make sure your fingers are clean before applying this to your skin. This product is best suited for dry/dehydrated skin. 1.) Sleeping mask - Use this as the last step of your skincare routine at night and you just need to wash it off with lukewarm water the next morning. 2.) 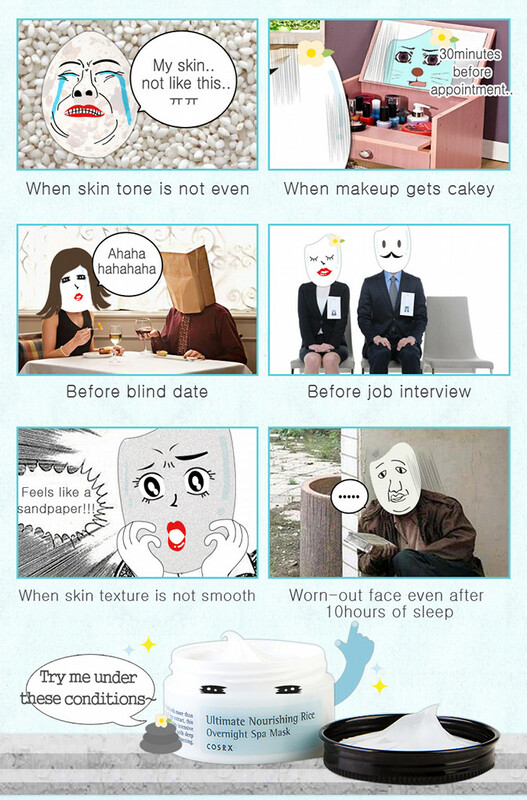 Wash off mask - Apply a generous amount on your skin evenly (yes, thicker layer than normal). After about 15 minutes, wash off with lukewarm water or wipe it off with a toner. 3.) Cream - Use this as your last step of your skin care routine, apply this as your cream and you can move on with applying make up. 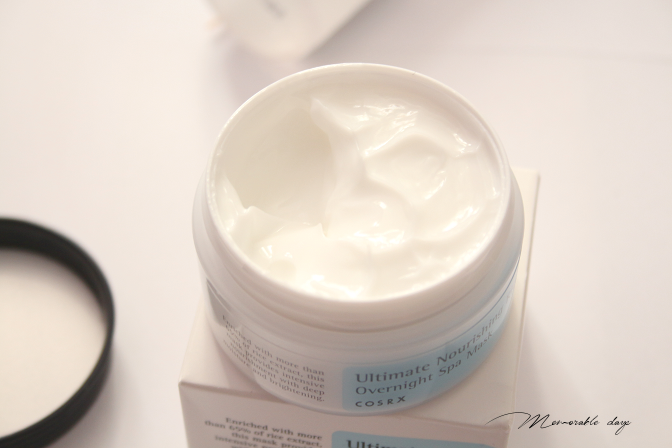 I usually use it as an overnight mask and apply it thinly on my skin as my last step of my routine. The ingredient list is also listed on cosdna.com. Not surprised that rice extract is number one in the ingredient list! 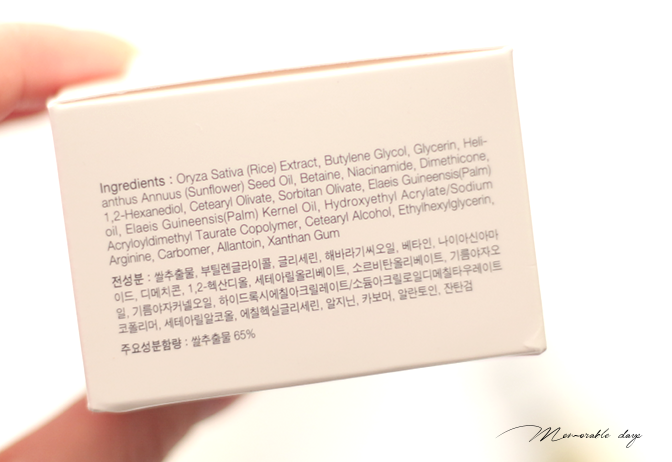 This product also contains niacinamide, do not use if you are sensitive to this ingredient or anything else in the list below. 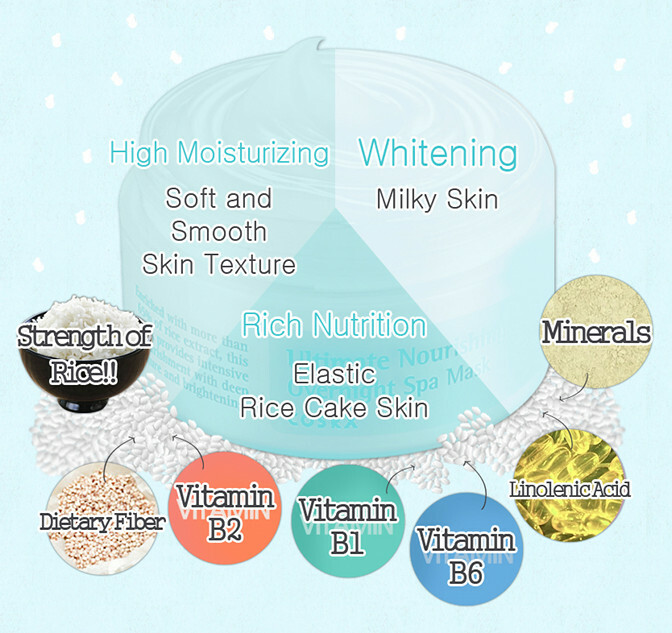 This rice mask is a white cream that is rich and smooth. Its pH level is 5. 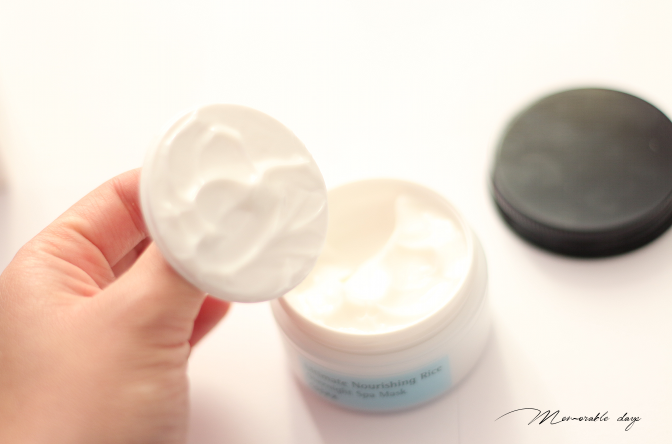 It feels lightweight and it glides on easily and feels nourished on the skin. It has a tiny bit of a burned rice scent to it, which is not overwhelming at all and extremely light. After applying it on my skin it gives me a sublte glow and it feels nourished. It is slightly sticky when you apply it, it takes a few minutes to dry, and the sticky feeling will be gone after its absorbed. I am happy that it won't transfer on my bed sheets or pillow while I am sleeping. The Laneige sleeping pack does that, although I love the scent and cooling effect, that is just a major downside of the sleeping pack from Laneige. This mask was kindly sent to me by Jolse.com for review purposes. It is sold for USD$12.- there. It is one of my favourite shops to get Korean products since their prices are reasonable, offer worldwide free shipping and gives lots of samples each time no matter how much you purchase, and who doesn't love samples right?! (FYI. I have a combination dry skin) After the two times I used it, I wasn't sure this product gave me small bumps on my forehead or not, I just couldn't believe it I guess. However, after a few times I still got small bumps after it, so it got to be this product that created small tiny bumps on my forehead. While my cheeks felt great after using it, my T-zone was just oily in the next morning and small tiny bumps on my forehead isn't great. Luckily the bumps were gone within a week. The brightening effect can only be seen after application, it's gone in the morning. I decided to use this mask only on my dry areas avoiding my oily T-zone and it works fine there, it sinks in lovely while keeping it moist and still moist in the morning. Whitening effect or skintone correction can't really be seen on my skin after using it, maybe after using it in long term. This product is definitely too hyped up. It's no magical product, it's just nourishing. I wouldn't get it again since it didn't work out for my whole face, just for my dry areas. However, if you got a dry/dehydrated skin, you will like this product. It worked fine on my dry areas. I hear it often that this mask doesn't do well with oily skintypes, so try a sample size first if you got oily skin and really want to try it before purchasing the whole thing. Yes dear, always use it seperately to see what it is, but im guessing it is this one.